When I was a wee one, the holidays were spent with my extended family at my grandparents house. Soon our family got so big that we had to rent out a hall or some place big enough to fit everyone. With my mom having 12 brothers and sisters, that tends to happen. Nowadays, everyone spends the holidays with their immediate family and for my family that means just eight of us. While I miss seeing my entire family on the holidays, I do love the cozier atmosphere and getting to spend quality time with my folks and my sister and her family. 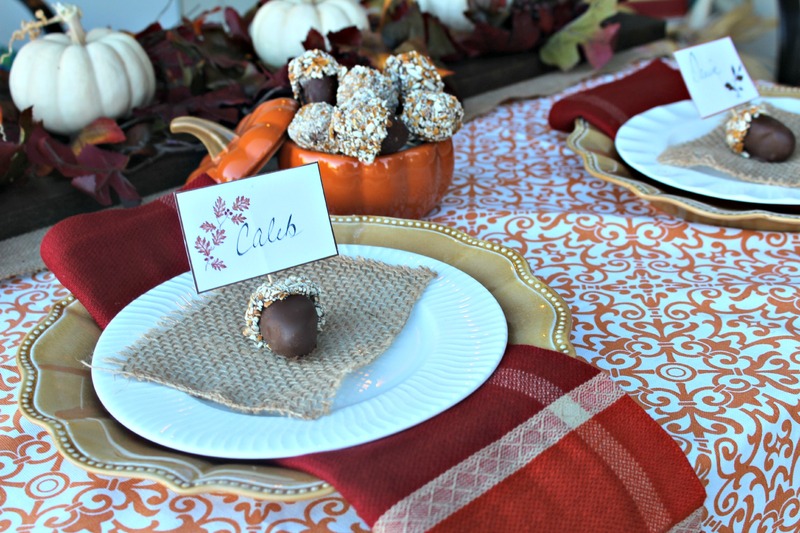 This also allows me the opportunity to make all sorts of treats for us and decorate the table for the holiday. 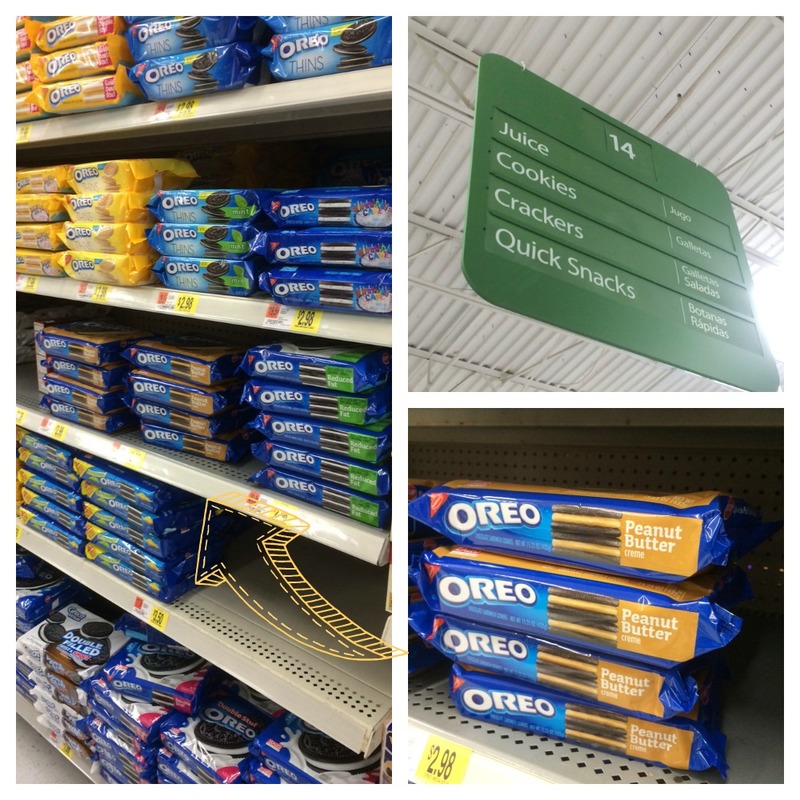 When I was in Walmart this weekend, I picked up a couple of bags of Peanut Butter OREO cookies. Because hello, Peanut Butter OREO’s! I knew I wanted to make OREO Cookie Balls with them and try my hand at creating something fun and tasty the kids would enjoy. 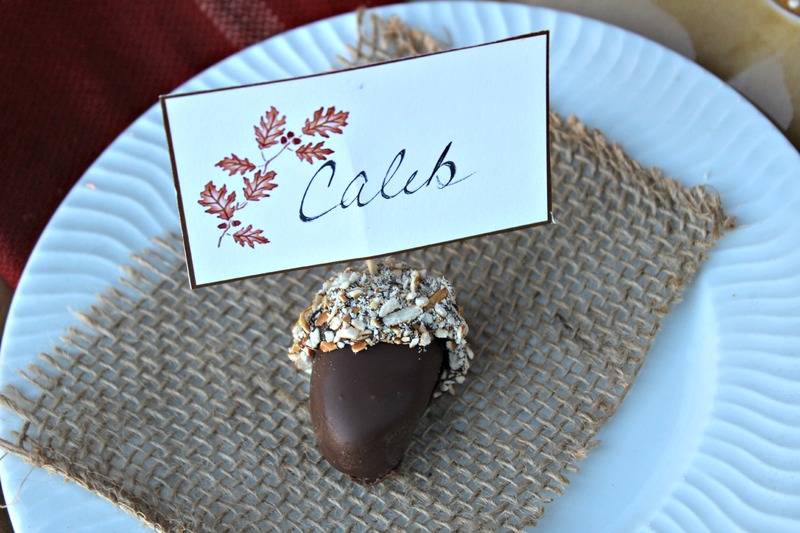 Enter these amazing acorn shaped OREO Cookie Balls that also double as name tags. Fun, right?! The peanut butter flavor really comes through, so much so one of my coworkers thought I had added some separate from the cookies. Nope, just all Peanut Butter OREO cookie goodness. 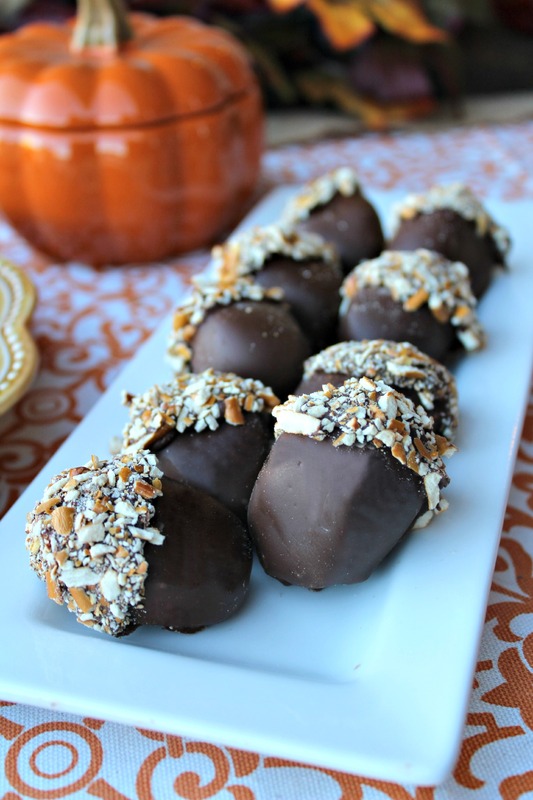 Try your hand at these OREO Cookie Balls for your holiday get-together. No matter how big or small your gathering, your guests will thank you. Want more ideas for your holiday treats or decoration, get holiday OREO Cookie balls recipes here. Shape into 36 acorn shaped balls. Place on wax paper covered cookie sheet. Dip balls in melted chocolate. Place in refrigerator for 1 hour. Remove and stick toothpick in end of acorn shaped ball. Dip about 1/3 of top part of ball in melted chocolate and then dip into crushed pretzels. Place in single layer in shallow waxed paper-lined pan. 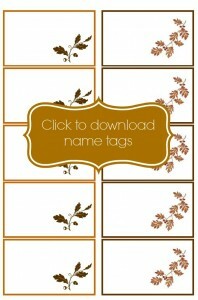 Click here to download the Thanksgiving name tag printable. 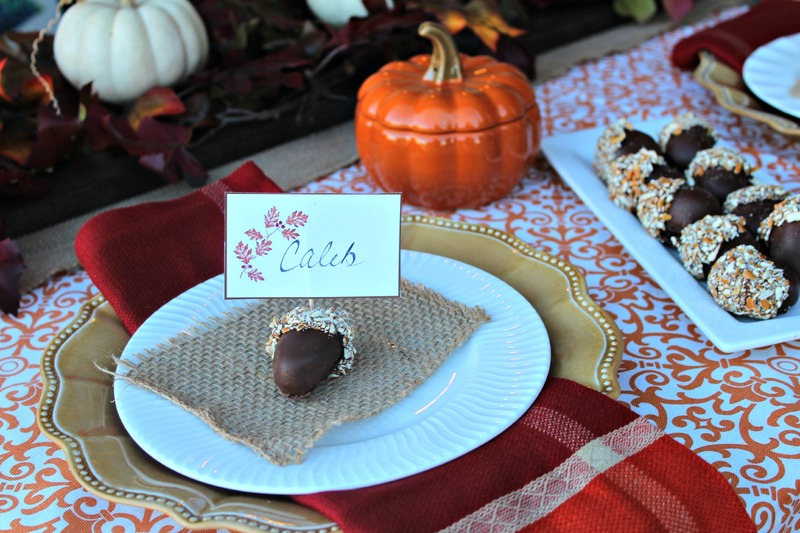 Just write your guests name, cut out cards, tape to a toothpick and stick in the acorn OREO Cookie Ball to serve as a place card.